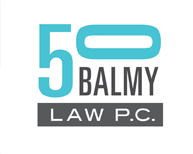 Brooke Oliver | 50 Balmy Law P.C. She served as the legal architect of Burning Man’s transition to nonprofit status, helped the Jerry Garcia Estate LLC establish a program to publish, distribute, and tour Jerry’s visual art, and helped the Cesar E. Chavez Foundation create a lasting infrastructure to carry on Cesar’s legacy. She helped Math Hall of Fame educator and author Marilyn Burns sell her company to a publicly traded entity, and handles her intellectual property interests. An A-V rated attorney since 1998, Brooke’s expertise is respected at the highest levels of the art world internationally and on the streets. She served as co-chair of a national Visual Arts & the Law Conference for twelve years, is sought as one the nation’s experts on the Visual Artists’ Rights Act, and has lectured on art law in the U.S., Mexico, and Rome. Brooke has been called “a folk hero of copyright law” for her role in landmark court decisions that protect visual artists. 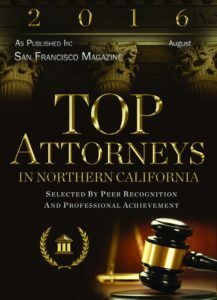 Brooke was selected as a top rated lawyer in Intellectual Property Law for 2015 by American Lawyer.com. For over forty years, Brooke has been a civil, economic, and social justice activist. She speaks conversational Spanish, mostly pocho. San Francisco and the California State Senate have honored her “outstanding leadership and engagement in the LGBT community.” She serves on the Latino Community Advisory Board and the Calle 24 Council, which is steering San Francisco’s groundbreaking Latino Cultural District. She is a past Treasurer of BALIF (the LGBT bar association) and a past President of SPARC mural arts in Los Angeles. In college, she was a bodyguard for Cesar Chavez when he was in Davis, and was a translator at the farmworker service center at DQ University.